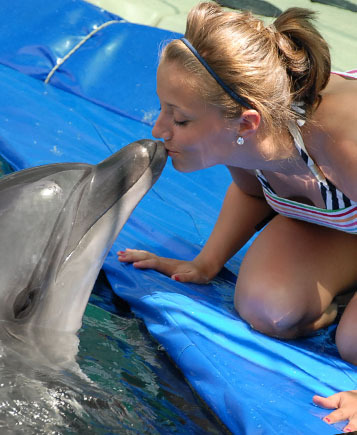 If you’ve always wanted the chance to touch a dolphin, this is for you! Join the trainer on the platform to shake flippers with your new dolphin friend! Give the dolphin a little backrub to experience what a dolphin feels like while the dolphin gets a chance to relax and enjoy! Further information & prices: Book online now!